Now that the dog days of summer are behind us, the change in seasons is palpable—but that doesn't mean it has to be palatable. If you're not quite ready to part with the flavors of summer, let these seafood-filled, Catalan-inspired recipes transport your taste buds to Spain before you throw in the beach towel for the season. Taken straight from the pages of renowned Chef Daniel Olivella's latest cookbook, Catalan Food, these delicious recipes will make you want to soak up the last rays of summer with saffron-stained fingers and paprika-lined lips. Ahead are three Catalan recipes to make when you'd rather be in Barcelona, including a garlicky seafood paella that's basically a great end-of-summer party in a pan. All that's missing is a glass of chilled vermouth. "In Spain, rice dishes are more about the rice than the add-ins. But in America, more is more, so this paella is filled to the brim with chicken, shrimp, clams, mussels, squid, and chorizo. The idea here is to add whatever you want. I am a firm believer that the beauty of paella is that it can be changed to suit your preferences, depending on the season, where you are, and who is eating it. This version is for my American friends. Serves 2 as a main dish or 4 to share." Make a picada by mashing the garlic, saffron, and 1/8 teaspoon of the salt to a fine paste in a mortar with a pestle. Gradually add the parsley leaves, mashing each addition completely before adding more, until you have a green paste. Stir in 1/2 tablespoon of the olive oil and a few spoonfuls of warm stock to loosen the mixture so it is just runny enough to slowly drip from the spoon. 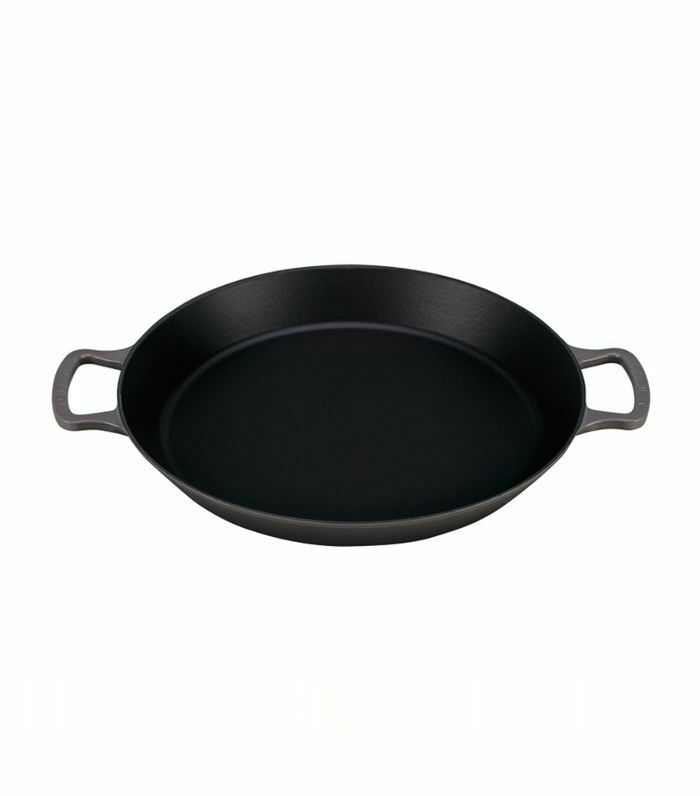 In a 12-inch paella pan, heat the remaining 2 tablespoons oil over medium-high heat. When the oil is shimmering, add the chicken, squid, and chorizo. Cook, tossing, until the chicken and squid begin to shrink and turn opaque, 1 to 2 minutes. Stir in the rice until it is shiny with oil, then add the picada, sofregit, pimentón, black pepper, and remaining 1/2 teaspoon salt. Add about 3 cups of hot stock to the pan, shaking it to settle and loosen any rice clusters as the stock begins to boil. Only shake the rice at this point; if stirred, it will become sticky. Reduce the heat to medium-low and simmer the paella until about 80 percent of the liquid is absorbed, about 10 minutes. When most of the liquid is absorbed, the rice will start to sizzle a bit, almost as if it is asking you for another drink. At that point, add about 1 cup more stock by drizzling it around the edge of the pan so the stock seeps from the pan edge to the center. Arrange the clams and mussels around the outer edge of the pan, and bury the shrimp throughout the rice. Simmer until about 80 percent of the liquid is absorbed and the rice starts to sizzle again, 5 to 6 minutes more. Drizzle about 1 cup more stock around the pan edge, and scatter the peas and green beans over the rice. Continue to simmer the rice until it is just beginning to become tender, 5 to 6 minutes more. At this point, the shrimp should be pink, the vegetables cooked through, and the clams and mussels should be open. Test the rice by taking a bite. The paella is done when the rice is plump, glossy, and tender on the surface with a firm white center when bitten into. The edge of the paella pan should also have a dark rim of oily starch, which is a good sign of the crispy socarrat below. To test the socarrat, use a spoon to scrape the bottom of the paella pan. If the spoon doesn't move through the rice but instead the rice is firm and the pan moves, then the socarrat has begun to form. When the socarrat has begun, rotate the pan for even browning. The rice will talk to you as it cooks; the crackle will get faster as the rice dries out, then it will go silent when the socarrat is finished forming. Your nose will tell you if it's beginning to burn; just add a spoonful of stock to the scorching spot if so. Serve the paella at the center of the table with spoons for guests to serve themselves and lemon wedges for squeezing. In a medium saucepan, heat the oil over medium-high heat. When the oil is shimmering, add the onion and salt, and reduce the heat to medium-low. Cook until the onion is translucent, about 15 minutes, stirring often to prevent burning. Stir in the bell pepper and cook until the onion is pale golden and very soft and the pepper is tender, about 15 minutes more. When it is ready, the onion will fall apart in your fingers. Give it time. Add the tomato sauce, increase the heat to medium-high, and bring to a boil. Reduce the heat to low and simmer gently for 1 1/2 hours, stirring occasionally. You should see only a few bubbles here and there as the sauce cooks. The sofregit is finished when it concentrates to a thick, chunky texture and falls from a spoon in one dollop. 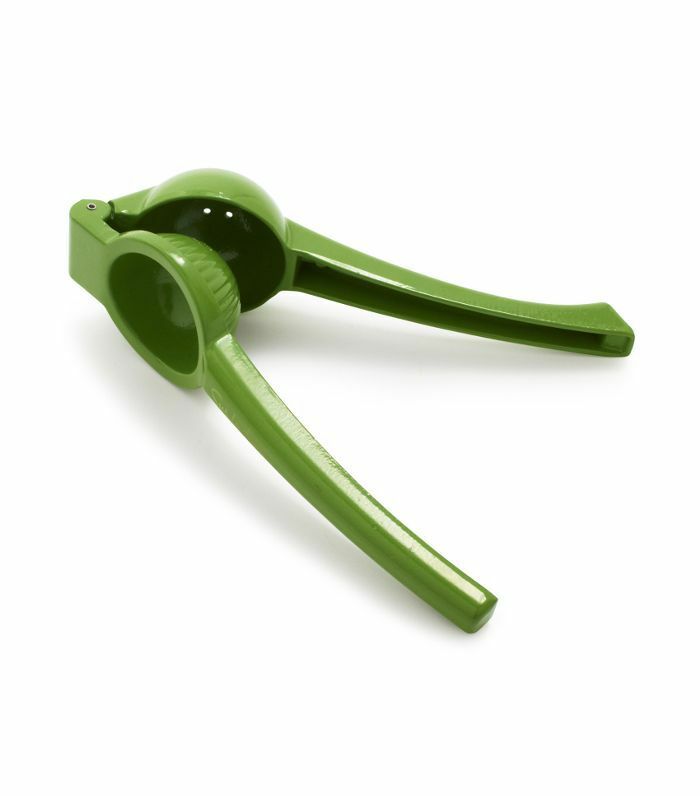 To store, spoon the sofregit into ice cube trays in 2-tablespoon portions. Freeze until solid, then transfer to freezer bags, squeeze out all the air, and seal. Store for up to 3 months. Thaw before using or add directly to the pan for dishes that will be simmering. "Catalans consume an array of seafood and shellfish, and this dish represents that variety, along with more common American flavors such as ketchup and hot sauce. This is bar food at its finest, the kind that Catalans would eat while drinking vermouth on a Sunday with friends. It makes the perfect party dish, or you could serve it as a first course alongside a cold beer." 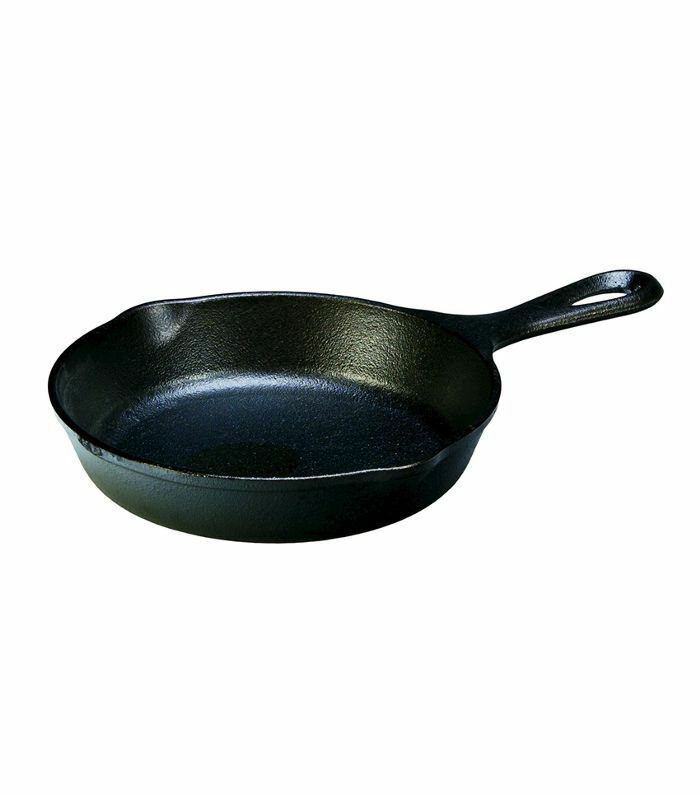 In a large nonstick skillet, heat 1 tablespoon of the oil over high heat. Season the scallops with salt. When the oil is shimmering, add the scallops and sear until golden brown on both sides, about 2 minutes total. Remove the scallops to a plate and refrigerate until cold, at least 15 minutes or up to 1 hour. Meanwhile, prepare a medium bowl of ice and water. Bring a medium saucepan of water to a boil and add the bay leaves and peppercorns. Drop in the shrimp and simmer until bright pink, about 1 1/2 minutes. Using a slotted spoon, transfer the shrimp to the ice bath. Let stand until cold, about 5 minutes, then remove and pat dry. Chill eight small serving bowls. In a large bowl, combine the ketchup, lemon juice, hot sauce, the remaining 1/3 cup olive oil, and a few generous pinches each of salt and pepper. "My deepest memories come from playing around in the kitchen as a boy while my mother cooked. The savory aroma of sofregit and the smell of frying garlic always remind me of her, as do the smells in this dish. I like to serve it to guests in small cast-iron skillets with the shrimp and garlic still sizzling. The aromas of garlic and oil waft up from the pan, engulfing your senses." In a cold 6-inch cast-iron skillet, stir together the oils and garlic. Tuck the shrimp together in a single layer on top. Place the skillet over medium-high heat and sprinkle a generous pinch (about 1/4 teaspoon) of adobo seasoning over the shrimp as they begin to sizzle. Sear the shrimp until they are pink on one side, about 2 minutes, shaking the pan once or twice to keep the garlic from burning. Use tongs to turn the shrimp and cook until they are bright pink, about 1 minute more. 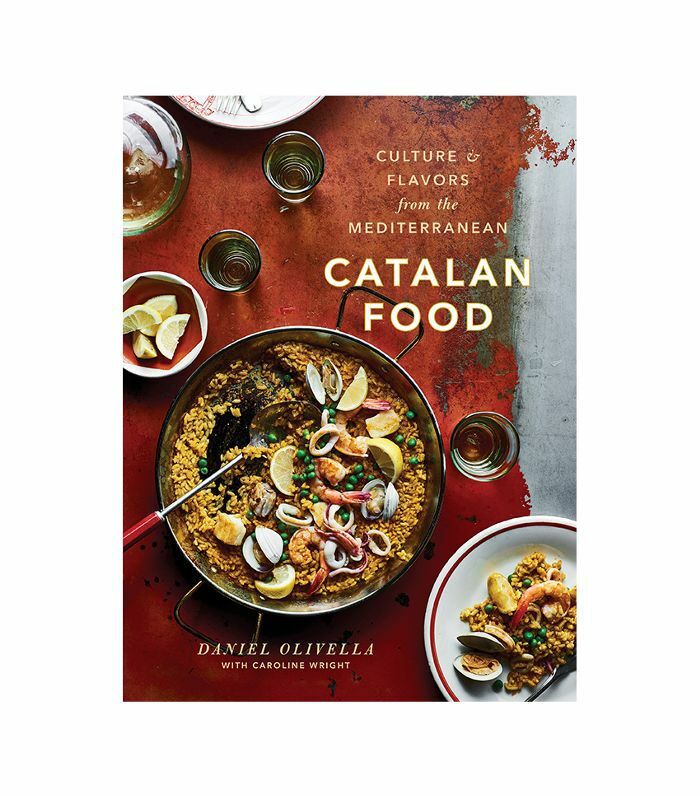 Reprinted from Catalan Food: Culture & Flavors from the Mediterranean. Copyright © 2018 by Daniel Olivella and Caroline Wright. Photographs copyright © 2018 by Johnny Autry. Published by Clarkson Potter, an imprint of Penguin Random House, LLC. Subscribe to our daily newsletter to have more delicious recipes delivered directly to your inbox.